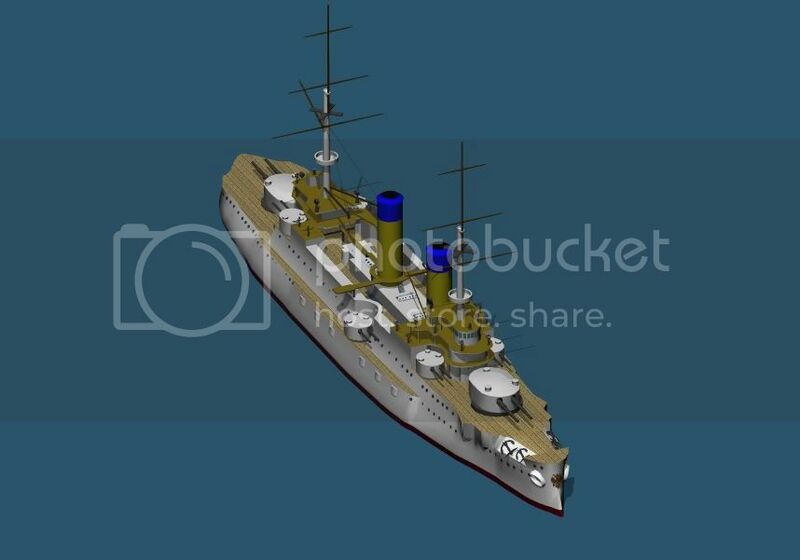 I have recently started 3D Modelling warships. I do this as a hobby and use the 3d models in a game called Civilization 3. You can see my work here: http://forums.civfanatics.com/showthread.php?t=438631. Almost all the models I have there I created myself. (only three of the Russians ships I did not create) The reason for joining the boards. Is for me to share my passion and help with my work. I want to share the information I have on warships. I also would like to exchange models with people so that everyone benefits. Please let me know what you think and if you are willing to contribute to my creation of warships. Welcome, Delta. I would love to work with you as you can spare the cycles. Max Yang from this board has also been interested in bringing a ship model (and components thereof) library online. It might take a little thought as to whether we offer a variety of licensing models or a single one, even if the latter narrows our effort. I think the Creative Commons framework is a good place to start making choices. What would the various modelers offer if the license were free-for-noncommercial use and not otherwise? I look forward to working with you on whatever I can. As far as what I would offer if it was free-for-noncommercial use would be all the models I created. I feel that it is hobby I know others take it more seriously and that is fine but my models are not going to be good enough for me to sell. Besides it something I have fun with and use in a game so why not let others use them for there games. The only thing I would really want to get out of it is is perhaps exchanging models would be nice as well or help with improving my own models. Update: Here is my latest creation. It is a Russian Borodino Class Battleship. The colours are not exactly what you might be used to but these colours work really well in Civilization. I do not suppose someone has a good picture of a 75 mm/60cal. Bofors AA M/1928 mounted on the Sverige Class Coastal Battleships. DS -- can't help on a photo. I just got a copy of the new book, Naval Weapons of WW1, and it is not mentioned there (too modern). I wish I were in a position to readily take one or more from you to show in my sim, but I'm working hard on it. Have you ever delivered something for use by Ogre3D, or exported a textured model in Wavefront format (a .obj and an .mtl file pair)? The latter is what I presently use in my sim. Your level of detail might also work nicely in a phone/tablet computer game (a very good place to be, I'd say). I export all my models as .obj format because the animation program does not import blender files. No worries on the pic I will find something. and I will show you how it would look in my sim. If you have several ships, pick on that seems WW1-ish and has nice color. I think my engine likes texture maps to be applied to Ambient and/or Diffuse lighting models. A Question so I can send you a model. What program do you use that allows you to determine scale in meters? Just measure it in the editor's own coordinate space. I am not sure whether the import tool looks at metadata that relate those to dimensions such as meters or similar. However, if your editor has preferences for setting the scale, specify either meters or feet or anything (it MAY help if it is meters) and make sure the ship is the proper size within the editor window. I am emailable as "tone" through this domain.